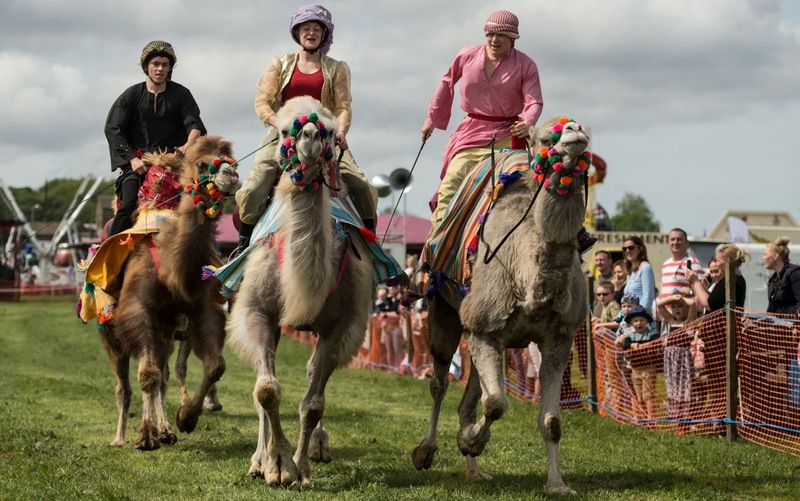 Spectators watch a camel racing event at the 20th annual Bronte Vintage Gathering, a country show and steam rally, in the village of Cullingworth, near Bradford. 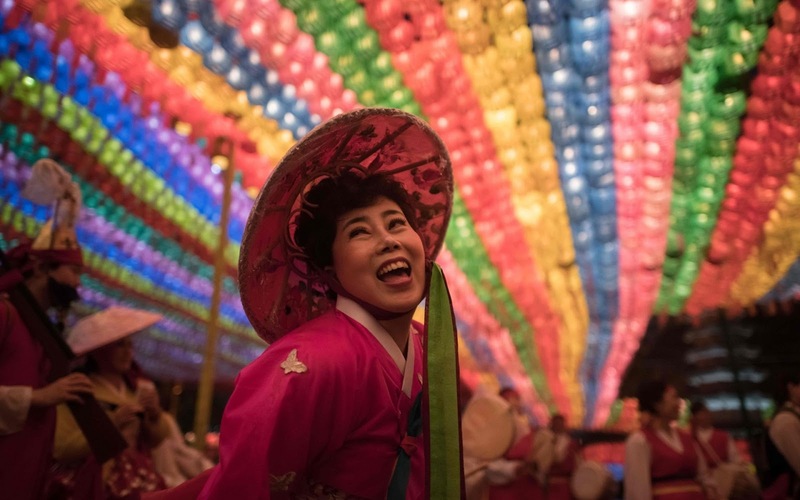 A reveller dances beneath lanterns at the Jogye buddhist temple following a lantern parade as part of a 'Lotus Lantern Festival' celebrating the upcoming Buddha's birthday, in Seoul. 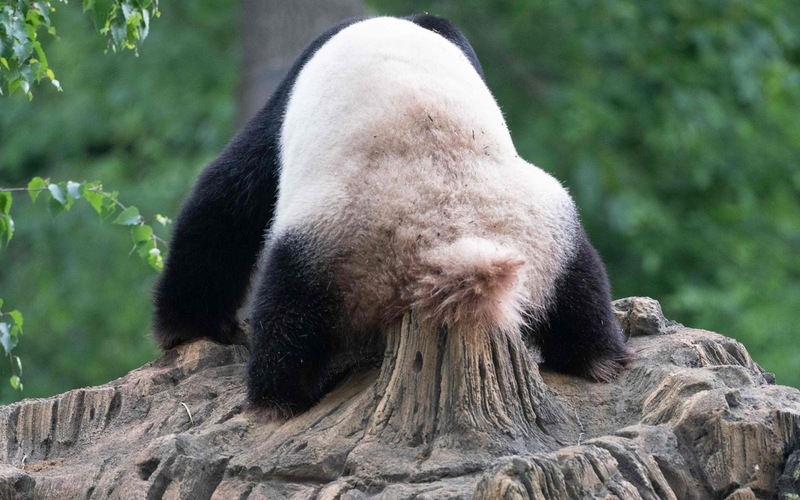 Buddha's birthday falls this year on May 22. 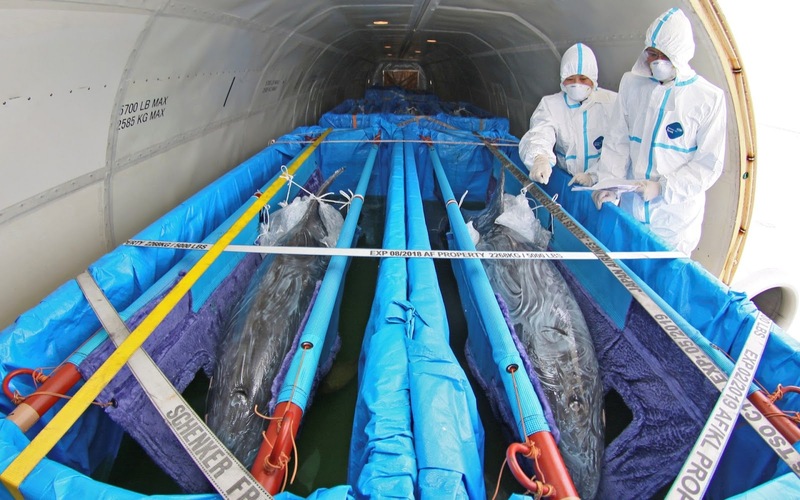 Customs staff inspect bottlenose dolphins after the plane carrying them landed at the airport in Yantai, in Shandong province, China. Seven dolphins were imported from Japan to an aquarium in Penglai, for exhibition purposes. 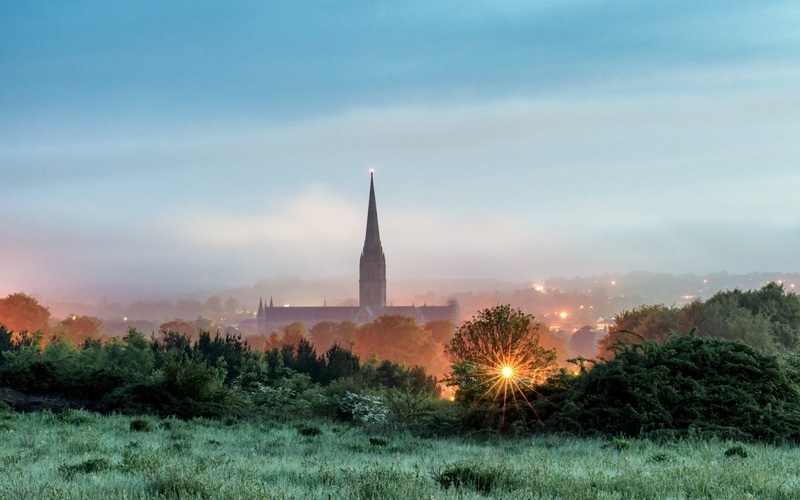 Sunrise on a misty summers morning in Salisbury, showing the Cathedral shrouded in mist. The Installation of Sarah Mullally as the new Bishop of London at St Paul's Cathedral. The Rt Revd and Rt Hon Dame Sarah Mullally DBE being installed as the 133rd Bishop of London at St Paul's Cathedral. The service coincided with International Nurses Day, Florence Nightingale's birthday, echoing Bishop Sarah's own former career in the NHS as a nurse, including as Chief Nursing Officer, before her ordination. 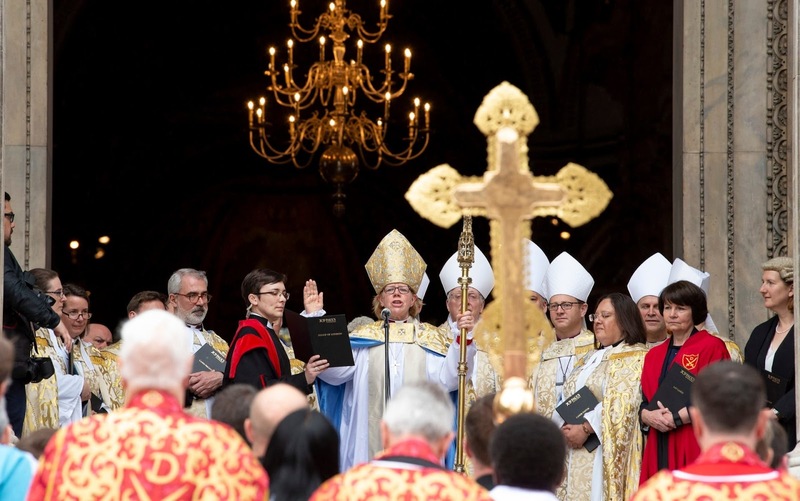 Clergy, staff and friends, from across the Diocese of London, the wider capital, and the Church of England, came together as Bishop Sarah followed the tradition of knocking three times on the Cathedral's Great West Door with her pastoral staff, marking the beginning of the installation. 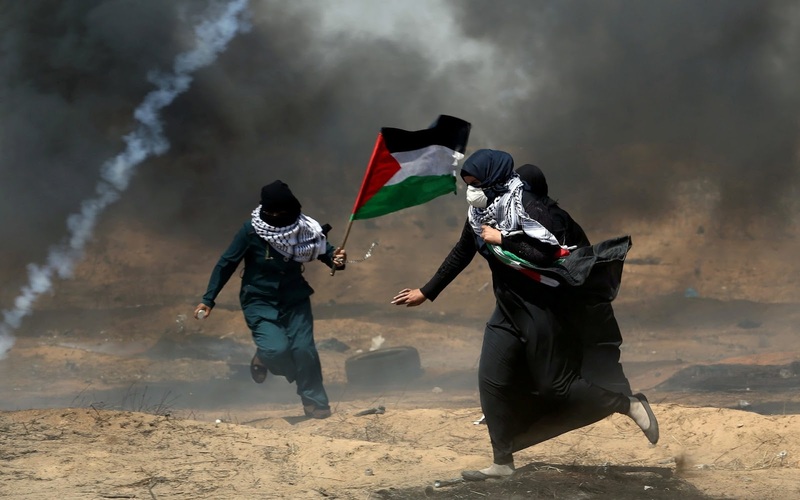 Bishop Sarah's sermon, on the theme of being subversive for Christ, remarked that 150 years ago this week, suffragettes placed a bomb under the same seat in which she had just been enthroned as the first woman to be Bishop of London. She also spoke of the need to challenge injustice and inequality, and of the pivotal role the Church has to play across London. 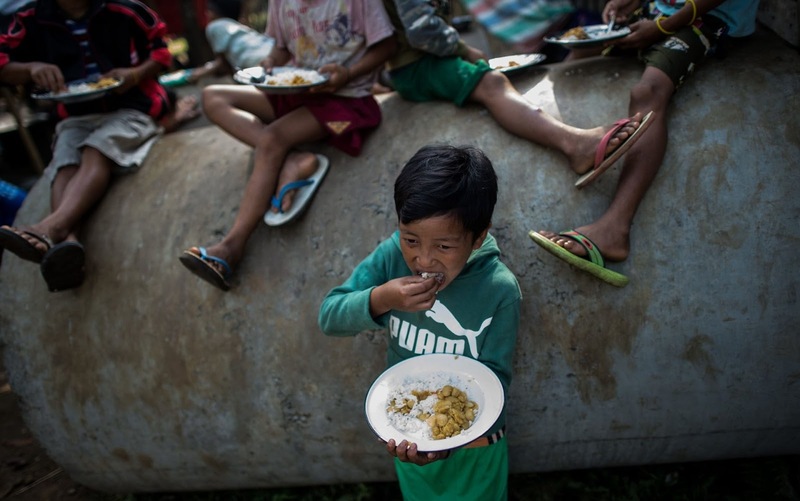 Internally displaced children take their meal while taking temporary shelter at a church compound in Tanghpre village outside Myitkyina, capital of Kachin state. 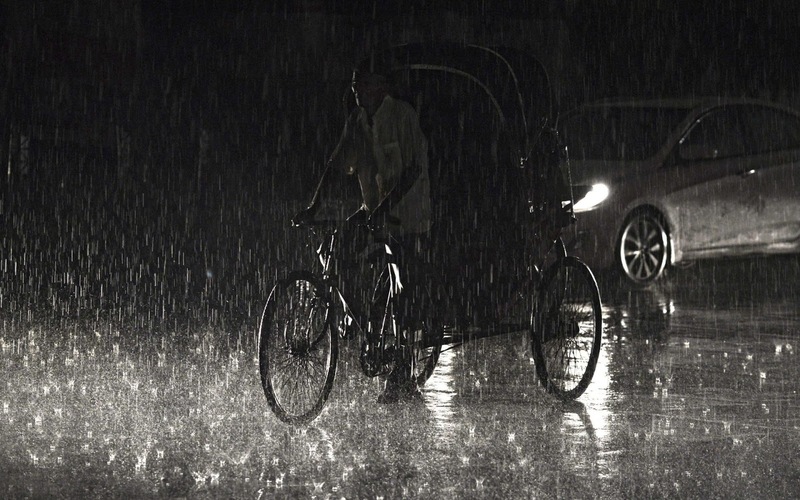 Thousands of people have fled renewed fighting between Myanmar's army and ethnic insurgents in the country's remote north, a United Nations official said, as a long-simmering conflict intensifies. Model Bella Hadid attends the screening of 'Ash Is The Purest White (Jiang Hu Er Nv)' during the 71st annual Cannes Film Festival at Palais des Festivals in Cannes, France. 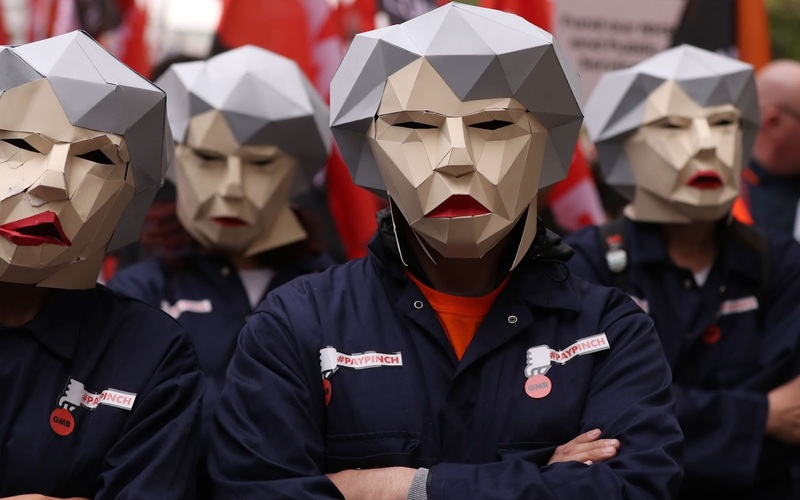 People dressed as Theresa May Bots during a TUC rally in central London, as part of its 'great jobs' campaign. Union members and campaigners from across the UK travelled to the event in central London, organised by the TUC, which is calling for a higher minimum wage, a ban on zero hours contracts and more funding for the NHS, education and other public services. Eugenie Niarchos attends the #SheInspiresMe Fashion Car Boot Sale in aid of Women For Women International at Brewer Street Car Park in London, England. Sand sculptures are exhibited during the 12th International Antalya Sand Sculpture Festival in Antalya, Turkey. 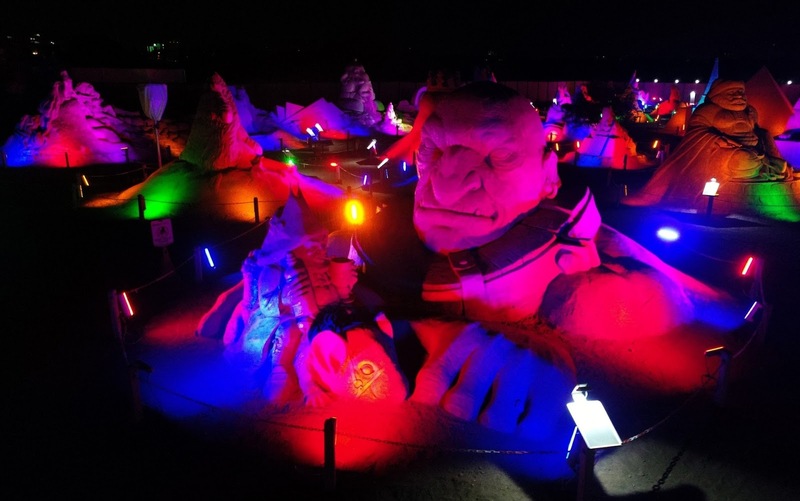 Approximately 200 sand sculptures are being displayed as 20 sculptors from 12 different countries attended to the 12th International Antalya Sand Sculpture Festival, which is among the worlds largest sand sculpture events, with main theme 'The Legends' in Antalya. 10.000 tones of sand used to build gigantic sculptures such as Christ the redeemer, Machu Picchu, Chichen Itza, Petra and Taj mahal, Colosseum and Great Wall of China. 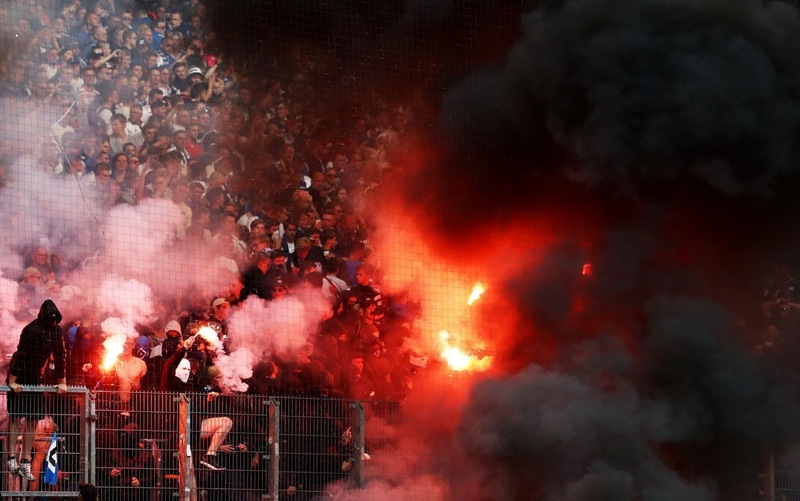 Fans set off flares during the Bundesliga match between Hamburger SV and Borussia Moenchengladbach at Volksparkstadion in Hamburg, Germany. 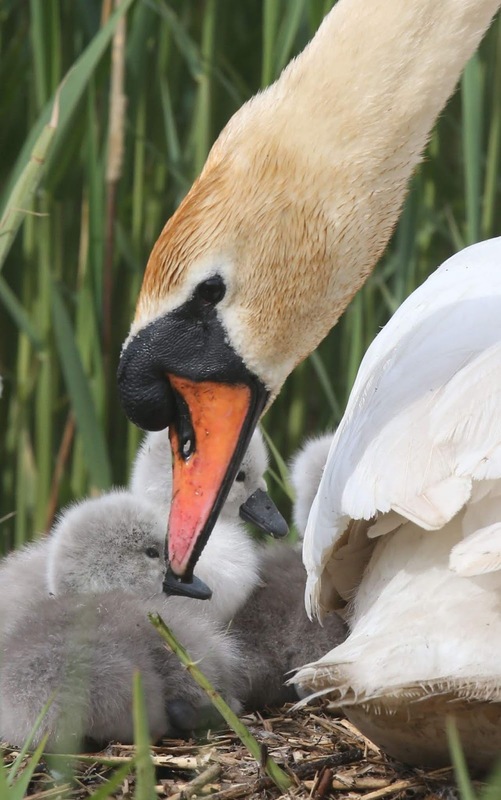 The first of 600 baby swans (Cygnets) are hatched at the Abbotsbury Swannery in Dorset, said to indicate the beginning of summer. Pictured are the fist family of six. Taylor Swift performs onstage during Taylor Swift reputation Stadium Tour at Levi's Stadium in Santa Clara, California. Indian actress Deepika Padukone walks the steps as she arrives for the screening of the film "Ash is Purest White (Jiang hu er nv)" at the 71st edition of the Cannes Film Festival in Cannes, southern France. Sharon Needles attends the 4th Annual RuPaul's DragCon at Los Angeles Convention Center in Los Angeles, California. 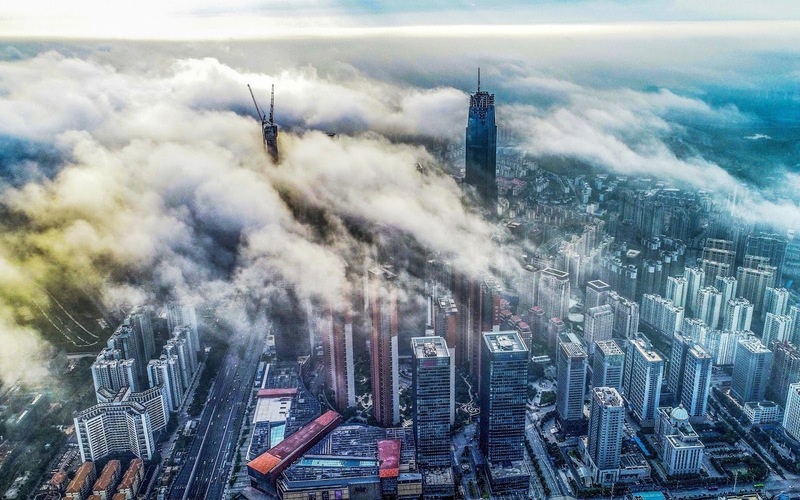 Nanning city, guangxi province,China,after the rain, the clouds in the sky above nanning city are as beautiful as fairyland. The tall buildings in the distance are more than 300 meters high. 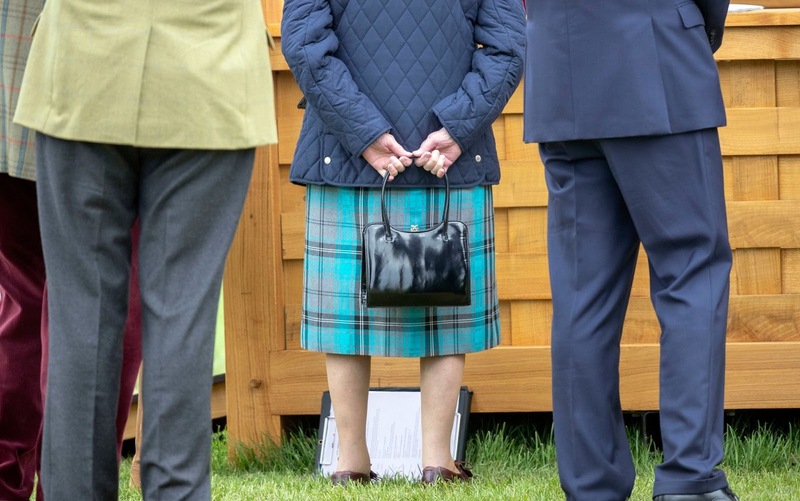 Queen Elizabeth II, centre, during the Royal Windsor Horse Show at Windsor Castle, Berkshire. 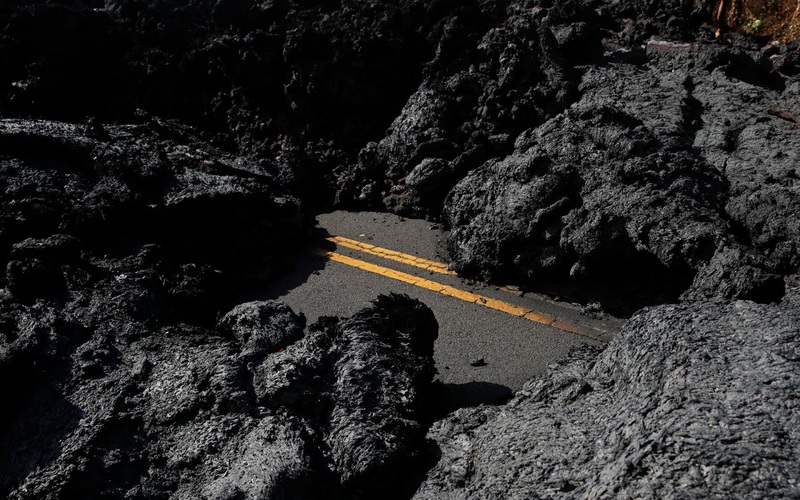 Center lane lines are partially visible along the lava-covered road in the Leilani Estates subdivision near Pahoa, Hawaii. Kilauea has destroyed more than 35 structures since it began releasing lava from vents about 25 miles (40 kilometers) east of the summit crater.